Walking around Glebe, you can’t resist the exuberance of the suburb, thanks to the two universities around it. The incredible designs of the buildings are nothing short of an engineering achievement. Terrace houses that people built in the 19th Century still stand today. Being a lively commercial hub of sorts, Glebe welcomes a new hive of activity daily with shops, restaurants, pubs, and cafes. It offers a compelling alternative to those who want to do business closer to their homes. Your day at work has come to an end. Tired and weary, all you want is some good rest till the next day. You arrive home and drop yourself on the bed or sofa. Not long after, a pipe leaks, or it bursts. A drainage blocks. What do you do? All you want is a plumber in Glebe, right away. A Glebe emergency plumber would be right fit for the job. As you relax and try to take stock of the day’s activities, the Plumbing Detectives do the hard work to fix your plumbing system. Glebe’s suburb life may have helplessly drawn you towards settling here. Who will be checking your plumbing installations? Who will service and replace those that may cause you some trouble? Rest assured that a Glebe plumber from the Plumbing Detectives will arrive right on time to fix that nagging leaky tap or clogged toilet. Our rates have been modelled around you; we charge you per project basis rather than according to hours worked. 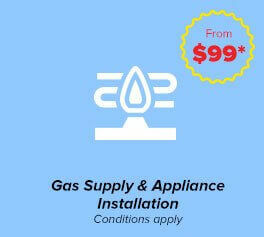 Our 24-hour emergency plumber in Glebe on each day of the week presents you with a wonderful opportunity not to put off till tomorrow. Call us at 02 9708 2732. We’ll be glad to hear from you.